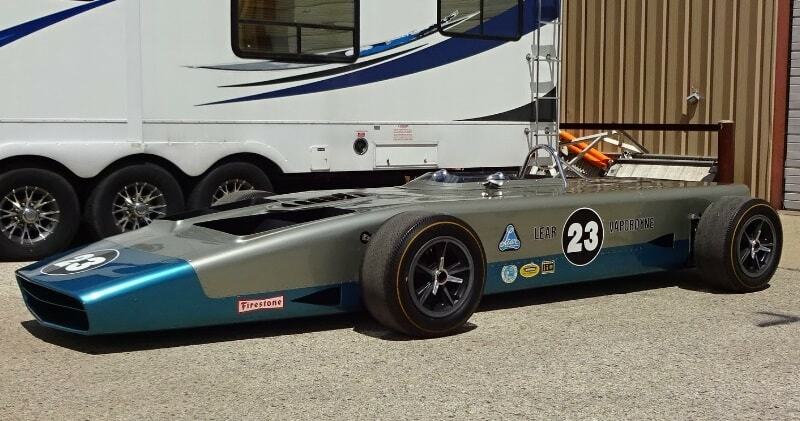 We’re looking at a THE ONLY Steam Powered Indianapolis 500 Race Prototype Racecar in 1968 to run hopefully run in 1969 ( which it never did) built by Bill Lear of Lear Motors Corporation named the Lear Vapordyne # 23. The car’s Owner is Rick Parsons. 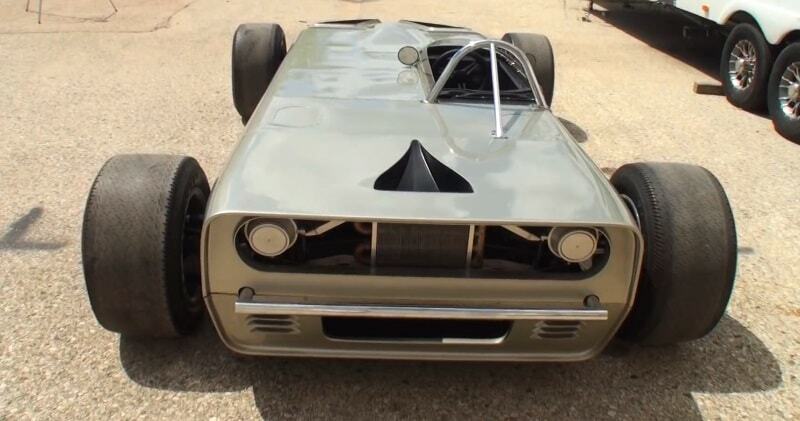 Rick saw this car at an auction in 1997, and 2 years later bought the car in 1999.This is currently the only known video of the car. The deltic engine in this car was designed from scratch by Richard Moser who went to work for Lear September 2, 1968.A lot of resources were thrown into the project and in six months there was a working engine with three cranks and twelve pistons. Bore was 2.52” and the connecting rods were knife and fork to get the cylinders all on the same plane. Mean Effective Pressure calculations were made so the engine was designed for 500 horsepower. The valving was done by a rotary valve in the middle of everything made with three parts so cutoff could be adjusted.